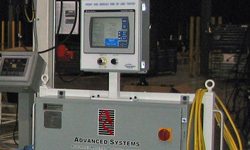 We provide advanced system controls and custom software that optimize material handling operations with maximized sequencing, accumulation and logic. Our material handling control systems software synchronizes your logistics operations to increase the efficiency of manufacturing, distribution and warehousing activities. 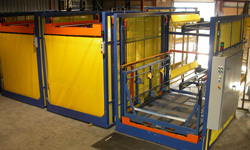 Operational costs are also reduced by minimizing labor, space and inventory requirements. In-built diagnostics provide a pro-active indication of problem areas and failed components. 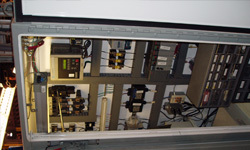 Smart material handling control systems are also available that provide distributed control using programmable microcontrollers. 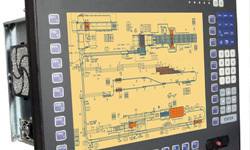 The controller communicates information at the machine level, thus eliminating the need for high level PLC controlling. By strategically using advanced system control, we maximize picking, conveying, storage and sortation efficiency. We offer comprehensive warehouse control systems (WCS) to manage package flow for distribution, packing and shipping operations. Our systems extend your existing enterprise resource planning (ERP) and warehouse management systems (WMS) to improve productivity. 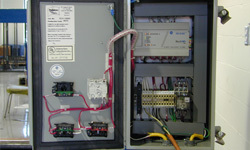 Our WCS monitor and control systems help optimize product and operational flow. 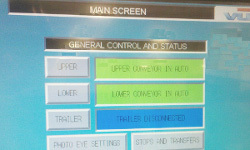 Components of our WCS systems include Order Management, Pick Manager, Crane Manager, Route Manager and Carousel Manager.